In accordance with Title II of the Americans with Disabilities Act (ADA) of 1990, it is the intention of the Jacksonville Aviation Authority (JAA) to provide access to all public facilities, programs and services associated with its operation of Jacksonville International Airport (JAX) to all persons with disabilities. 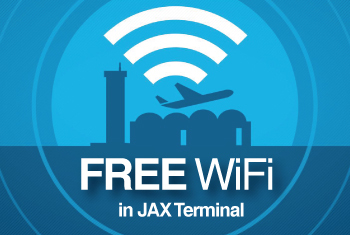 The JAA’s ADA Coordinator is Bryan Long who may be reached by email bryan.long@flyjax.com or jaxactionline@flyjax.com, by phone at 904.741.3563 or 904.741.2000 or by mail at Bryan Long, Jacksonville Aviation Authority, 14201 Pecan Park Road, Jacksonville, FL 32218. The JAA’s American with Disabilities Act (ADA) Coordinator is responsible for administering the JAA’s overall compliance program, and is designated, in accordance with the federal regulation under the ADA, to coordinate the JAA’s efforts to comply with and carry out its responsibilities under the Act, including investigation of any complaint communicated to the JAA, alleging the denial of access to any JAA service or program, based on disability. Please contact the ADA Coordinator for any questions, Request for Reasonable Accomodations or Grievances. The JAA’s ADA Coordinator is familiar with federal, state and local government regulations and policies, including knowledge of the ADA and other laws addressing the rights of people with disabilities and has extensive experience with a broad range of disabilities. 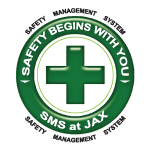 The ADA Coordinator has knowledge of various alternative formats and alternative technologies that enable people with disabilities to communicate and participate in programs, activities and services available at Jacksonville International Airport (JAX). The ADA Coordinator has the ability to work cooperatively with people with disabilities and is familiar with local disability advocacy groups and has the skills and training necessary to negotiate and mediate on behalf of anyone who submits a grievance. To file a grievance alleging denial of access to a JAA program or service based on disability, a patron should complete the attached ADA Grievance Form (Form) and forward it to the ADA Coordinator, pursuant to the contact information provided on the Form. The completed Form must contain the name, address, e-mail address, and phone number of the grievant. The Form should include as much information as possible regarding the alleged denial of access including date, time, location, and a clear description of the denial of access. The complaint must be received by the ADA Coordinator no later than 30 days following the alleged incident. The Form must be completed and signed by the grievant or her/his authorized representative. Upon receipt of a grievance, the ADA Coordinator will review the completed Form within ten work days. If additional information is required, the ADA Coordinator will contact the complainant and return the Form for completion. Once the completed Form has been received, the ADA Coordinator will work with the JAA (and its tenants, contractors and concessionaires, if necessary) to identify and implement a mutually agreed upon resolution within 15 business days of receipt of the completed Form. If further investigation is necessary, the ADA Coordinator will issue a “Notice of Continued Investigation” not later than 15 work days after receiving the completed Form. It is the JAA’s policy to encourage an informal resolution of all complaints and grievances. If a mutually agreed upon informal resolution cannot be achieved, the ADA Coordinator will issue a written decision within 60 business days of the receipt of the completed Form. The filing of a grievance does not prevent an individual from filing a complaint with the U.S. Department of Justice, ADA Enforcement Division or with the Federal Aviation Administration, Office of Civil Rights. Not later than 30 days from receipt of the ADA Coordinator’s decision, the grievant orauthorized representative may appeal that decision in writing to Tony Cugno, Chief Operating Officer, Jacksonville Aviation Authority, 14201 Pecan Park Road, Jacksonville, FL 32218. Within 30 days of receipt of this appeal, the Chief Operating Officer or his/her designee will meet with the grievant to discuss the grievance and possible resolution and, within 30 days of that meeting, will submit the JAA's final decision to the grievant. All written and/or recorded communications will be retained by the JAA for a period of three years from the date of the ADA Coordinator’s decision or the date of the Chief Operating Officer’s decision, whichever is later.